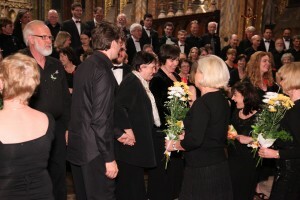 Budapest concert- June 25, 2010. CRC and Monteverdi together. 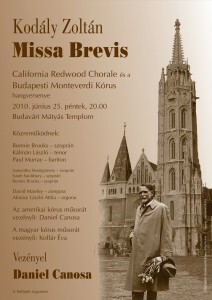 On a warm summer evening under a full moon, the California Redwood Chorale joined with the Monteverdi Chorus of Budapest to sing Kodaly’s Missa Brevis. Hungary’s most famous and beloved church, the Matyas Church, was overflowing. We sang perhaps the best concert of our life…a never-to-be-forgotten event.